Never note down another phone number again! 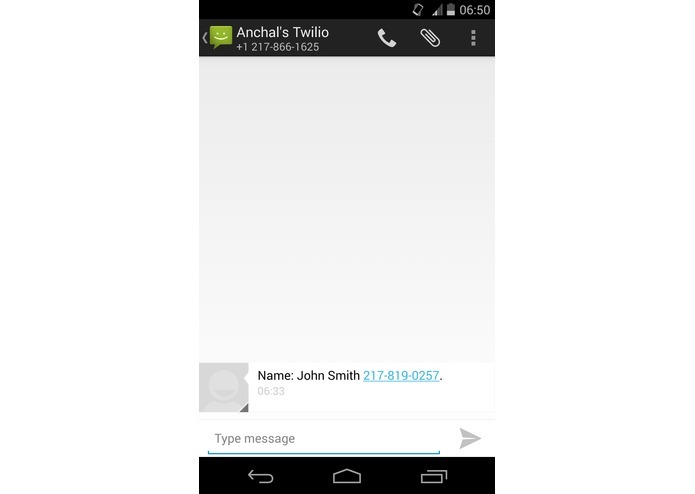 This Ruby script uses the Twilio API and allows you to receive texts from voicemails. The script creates a transcript of the voice message and parses it into a text message. The text contains the name of the person and his/her phone number, so you don't need to retrieve contact information from voicemails manually. If someone calls your Twilio number, they can leave a voice message which is sent as a text to your actual (non-Twilio) number.